Lessons In TR has two exciting announcements! This is kind of scary but…Lessons in TR is now on Facebook! I’ve had a few requests and decided it would be a good idea because, you know, I don’t have much time to be on the internet and am trying to get off Facebook. 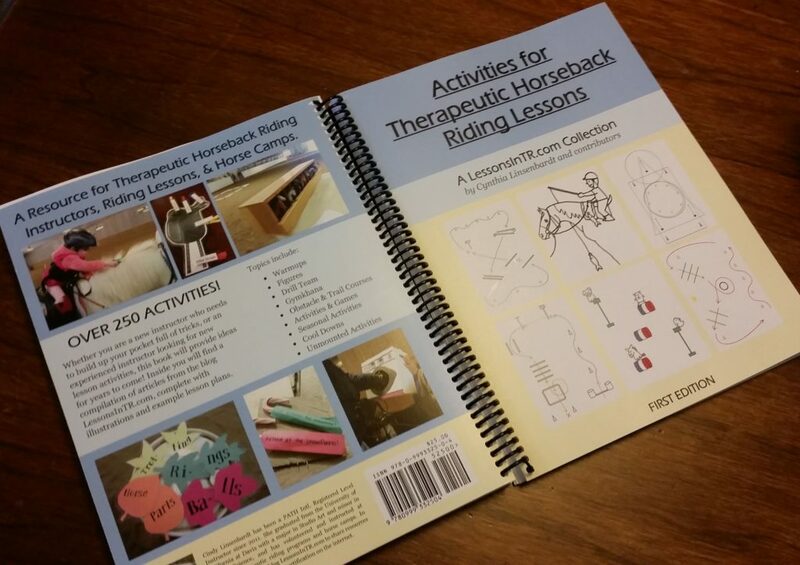 Welcome to the Facebook Page for the blog Lessons In TR, which shares lesson plans, patterns, activities, games & more for the therapeutic horseback riding instructor. This facebook page will let you know when there’s a new blog post, share interesting articles, ask for help in writing blog posts, and allow the further brainstorming of ideas! Feel free to post any thoughts, questions, ideas, or whatnot on the page (I will moderate them to make sure they’re relative) so that this page can also be a resource for your own instructing journey. Thank you for joining me here in Facebook land! Special thanks to Carrie Capes of HorsePower TR for the cover photo! 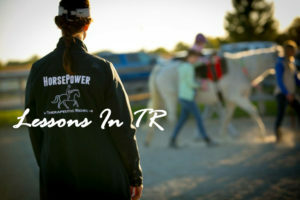 It encapsulates everything this blog is about: instructor, rider, volunteers, horse, lesson, therapeutic riding…and standing in the center of the arena (just kidding…kinda). CLICK HERE TO GO TO FACEBOOK LAND AND LIKE/FOLLOW THE PAGE! We’re almost there! After going through all the options I’ve decided to keep this blog thing a hobby and to self-publishing/printing/selling this lovely little 132 page collection of activity blog posts. The book is at the printer’s and my goal is to start selling it in October from my website – or as soon as I figure out how to sell it on the blog. You, blog readers, will be the first to know, if you are subscribed to my mailing list! I’ll post about it on the blog first, and later to Facebook. If you want to know what’s taking so long, I will just refer you to the sippy cup and corner of a bear that I cropped out of the above photo (read: toddler). That’s all. Sorry if you were expecting another baby. Or a baby horse. I’m sad it’s not a baby horse, too. Cindy L, you are absolutely the Best!! Intelligent, witty, thorough, dedicated, and simply amazing as a therapeutic riding instructor! I plan to buy your book as soon as possible. Thank you for sharing your expertise! Hi Cindy H, it’s so good to hear from you! Thank you for your compliments, you are too kind. I miss seeing you when I visit home, we will have to get together next time I’m out! Facebook – yea! And I’m so looking forward to your book! Thank you. Your blog continues to be a helpful resource for developing my skills as a therapeutic riding instructor. Yes a book is fantastic! I am always on your website to get new ideas. Can’t wait.